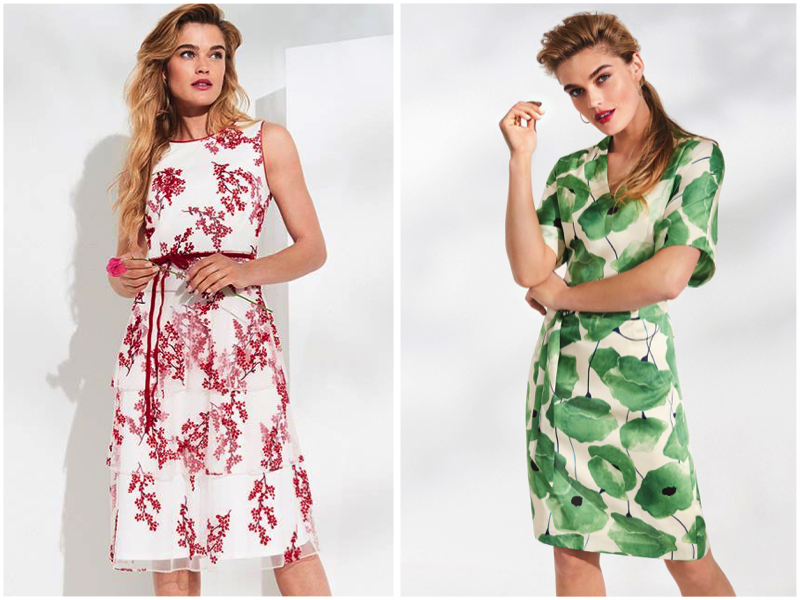 The ‘New In’ styles at Phase Eight include Gorgeous Summer Dresses, Floral Maxis and Striking Jumpsuits. This collection certainly delivers when it comes to vibrancy and stunning floral prints, as well as elegant cuts and on trend detailing such as ruffled sleeves and layered bodices. When it comes to colours, Phase Eight have focused on bold reds, coral pinks, jade greens and turquoises, and classic navy blues, with delicate floaty fabrics. Below we have handpicked 10 of our favourite looks from Phase Eight for this season. Whether you are after the perfect special occasion dress, wedding guest outfit, or simply a pretty day dress that will take you from a family day by the coast, to a night on the town! 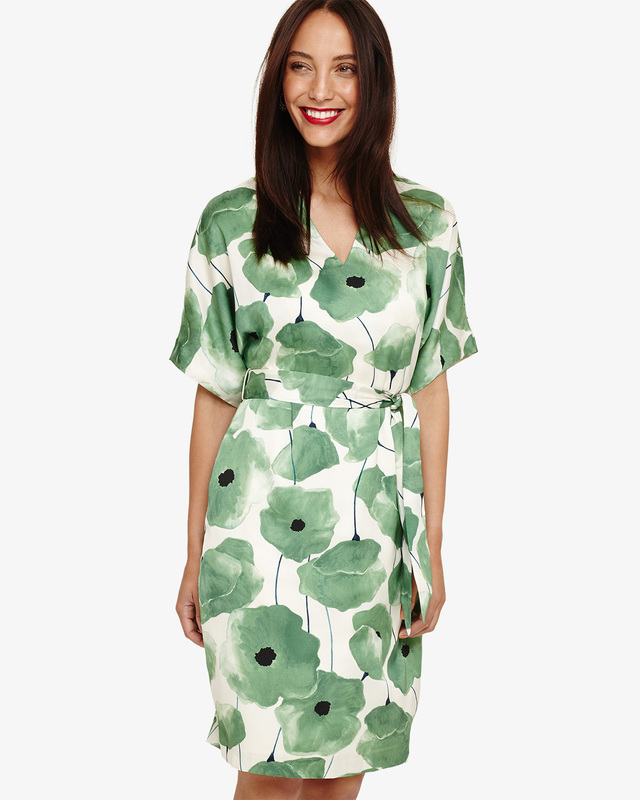 Effortlessly fabulous, the Dee Floral Dress from Phase Eight is a summer must-have! Perfect for any special occasion, we love the stunning jade colour and kimono-style cut. The stunning Saskia Scuba Dress features a peplum waist which helps to achieve a gorgeous hourglass figure, whist the chic ivory fabric will show off your summer glow. 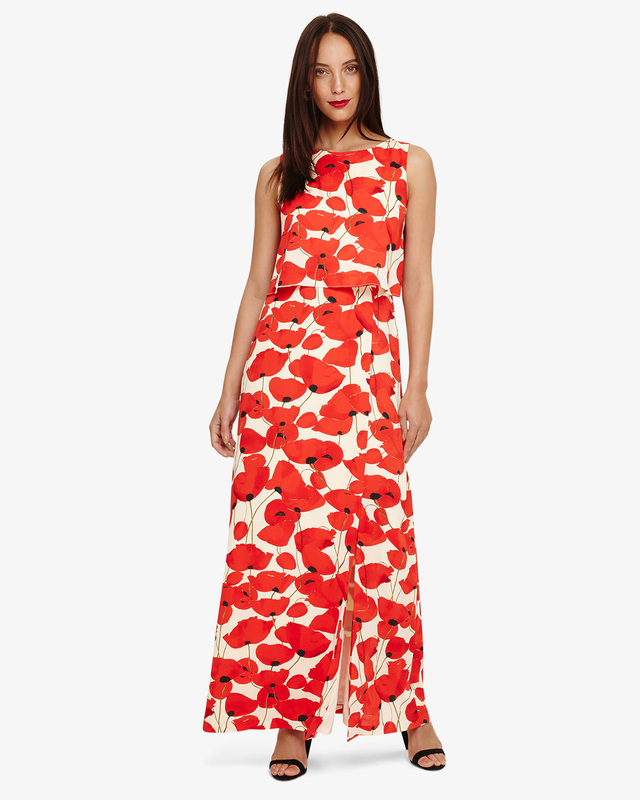 The Dorothy Poppy Maxi Dress, includes a pretty tie back and flattering layered bodice which tricks the eye into thinking it is a matching two piece set, rather than an all-in-one. The perfect holiday dress for sightseeing days, lazy lunches, and evening cocktails, The Hailey Floral Dress features floaty sleeves, a v-neck wrap front and on-trend drop hem. 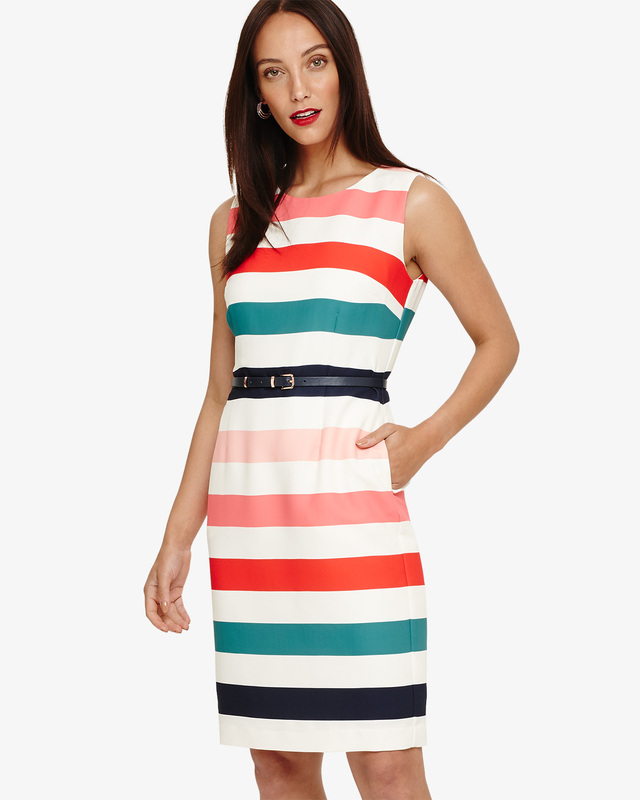 Every summer wardrobe should include stripes, and the Faye Striped Dress from Phase Eight is the perfect combination of a flattering fit with beautifully bold summer shades. 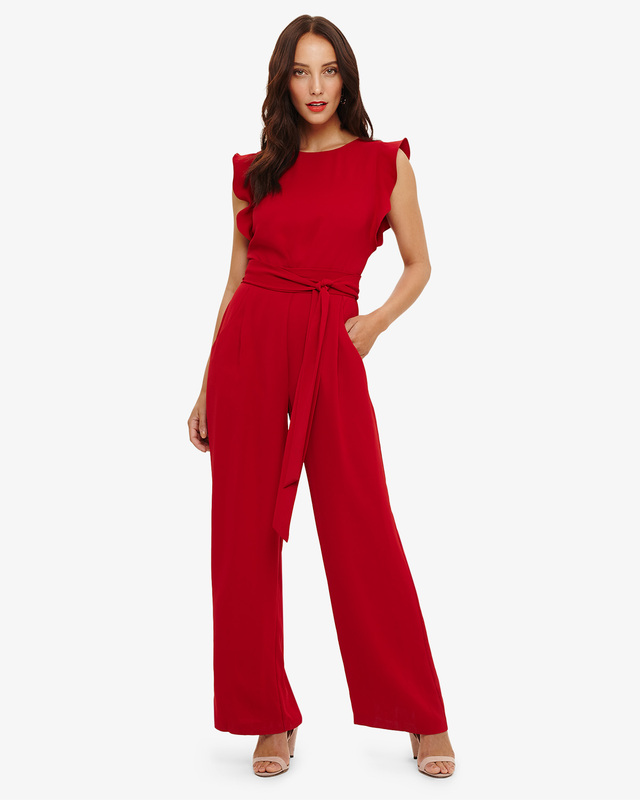 The Victoriana is Phase Eight’s signature jumpsuit design with ruffled sleeves and flattering tie waist. Available in eight colours, we simply adore the standout scarlet red. 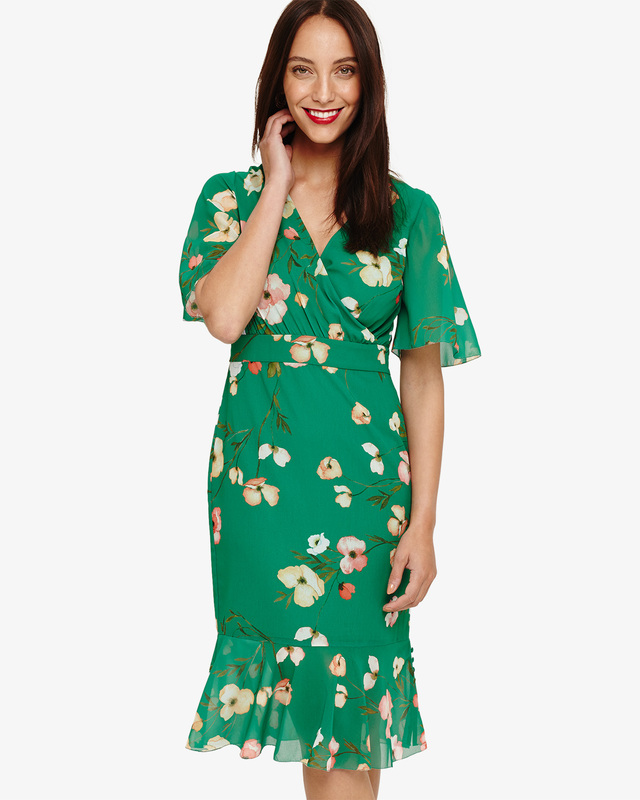 The Francine Ditsy Floral Dress would make the perfect summer wedding guest outfit or special occasion dress, with its softly tiered feminine skirt and ribbon waist bow back. The sophisticated Farrah Lace Dress in classic navy with a corset style bodice and peplum waist, will no doubt become your go-to-dress for special events and evenings out. 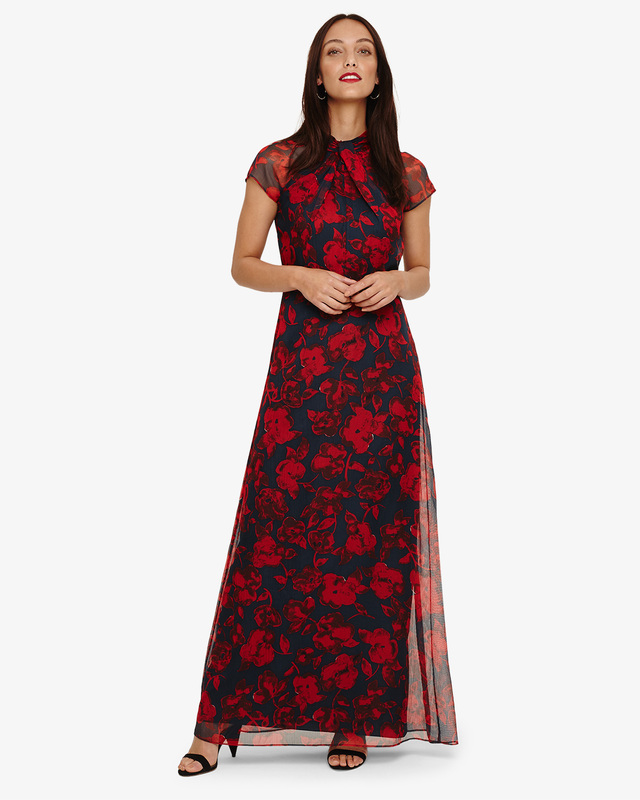 The Fredrica is an elegant oriental-style maxi dress with a semi-sheer overlay and sleeves, in classic navy with a scarlet red floral print and distinctive twist detail high neckline. 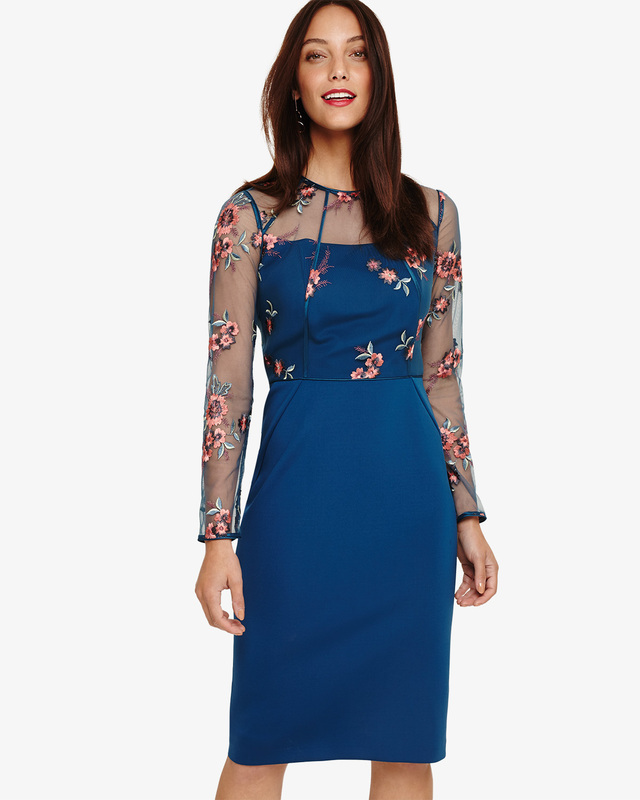 And finally, our pick for a stylish summer wedding, the exquisite Felice Embroidered Dress, featuring a semi-sheer overlay with long sleeves and intricate floral embroidery.